Louis Herbert Plested was born in 1919, the son of Sidney William Plested and Gladys (née Honor), of Shabbington, Buckinghamshire. He had a sister Gladys born in 1928. He was very popular in the village and a good sportsman, cricket being his favourite game. Before the war he was employed by Messrs R G Holland and Son of Thame. 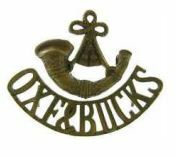 Louis was serving with the Territorial Battalion of the Oxford and Bucks Light Infantry on the outbreak of World War Two and was mobilised with the 4th Battalion in late 1939. The Battalion embarked from Southampton in TSS St Helier (a requisitioned Chanel Island Ferry) on 18th January 1940. They disembarked at Le Havre the same day and travelled to northern France. Following the German invasion of the Low Countries the battalion moved into Belgium, billeting in Alsemberg south of Brussels. On 17th May, the retreat from Belgium began during which numerous casualties were incurred. 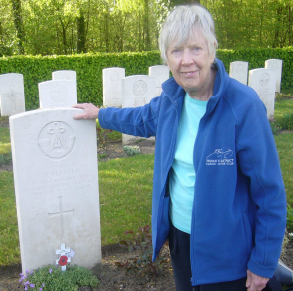 During the battle on the line of the river Scheldt (Escaut) on 22nd May 1940 Louis, age 21, was one of several men from the Battalion killed near the village of Bleharies, probably from artillery fire. 5387546 Private Louis Herbert Plested, Oxford and Bucks Light Infantry, is buried in Bruyelle War Cemetery, Hainaut, Belgium.